LANGLEY, UK, 2017-Nov-06 — /Travel PR News/ — Travelport (NYSE:TVPT), the leading Travel Commerce Platform, has today announced a global agreement with Wanup, the new innovator in the hotel industry. Under its debut agreement with Travelport, Wanup will make a selection of Travelport’s 650,000 bookable hotel properties to complement its own hotel collection, based on rating, destination and hotel style. Launched in 2016, and based in Barcelona, Wanup is a loyalty club offering immediate rewards from a diverse collection of hotels, allowing travellers to enjoy their perks, but without feeling compelled to stay with one hotel chain. When booking a hotel, members earn rewards in the form of travel cash, along with travel benefits and digital media subscriptions to enhance their hotel experience. The multi-year agreement sees Travelport as its preferred travel commerce platform, giving access to global travel provider content. This aggregates the most comprehensive content from multiple sources, including vast numbers of unique, independent hotel properties providing Wanup with access to both unrivalled content and functionality through a single connection. It allows Wanup members to benefit from intelligent, fast and accurate search beyond just rate and availability. Niklas Andreen, Vice President and Managing Director, Global Hospitality and Digital at Travelport added: “This agreement proves the value of the Travelport Commerce Platform and the importance of the company’s hotel inventory. 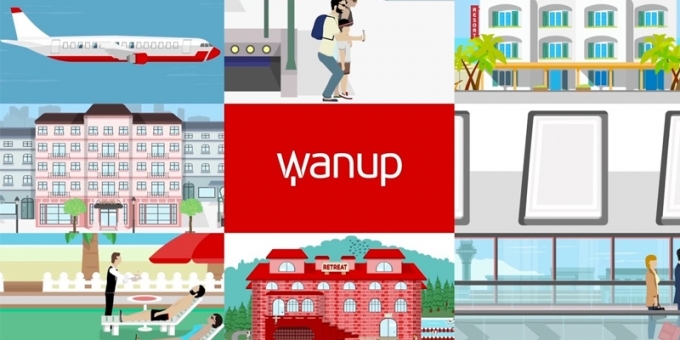 Working with Wanup, an innovative loyalty club solution and hotel industry innovator, shows the flexibility of our platform to accommodate needs of any Travel Companies business model. We are pleased that our large inventory gives them an opportunity to improve its performance by scaling its business and increasing the revenue”. Travelport is a Travel Commerce Platform providing distribution, technology, payment, mobile and other solutions for the global travel and tourism industry. With a presence in approximately 180 countries, approximately 4,000 employees, our 2016 net revenue was over $2.3 billion. Wanup is the new loyalty club solution for top guest-rated hotel chains and independent hotels. The club, launched in 2016, caters to a new generation of frequent travellers keen to discover unique hotels while accumulating rewards and receiving special treatment for their travel purchases. The collection includes more than 800 properties ranging from design hotels and boutiques, to beach resorts, villas, business hotels and much more. Wanup Rewards go above points to offer members the perks they really want based on their interests and travel preferences. Wanup is the first loyalty club to combine hotel perks and monetary rewards with a diverse product offering (price, destinations, hotel types) to suit the needs of millennial frequent travelers. Wanup fills this demand, while offering its hotel partners a full suite of SaaS tools to manage bookings, boost direct sales, increase revenue and improve the guest relationship. This entry was posted in Business, Hospitality, Hotels, Travel, Travel Management, Travel Marketing, Travel Services, Travel Tech and tagged Carlo Alvarez Spagnolo, hotel loyalty innovator, Niklas Andréen, Travel Commerce Platform, Travelport, Wanup. Bookmark the permalink.